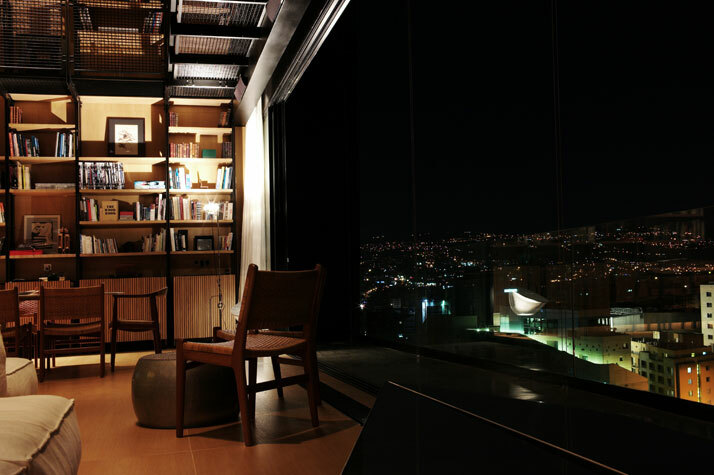 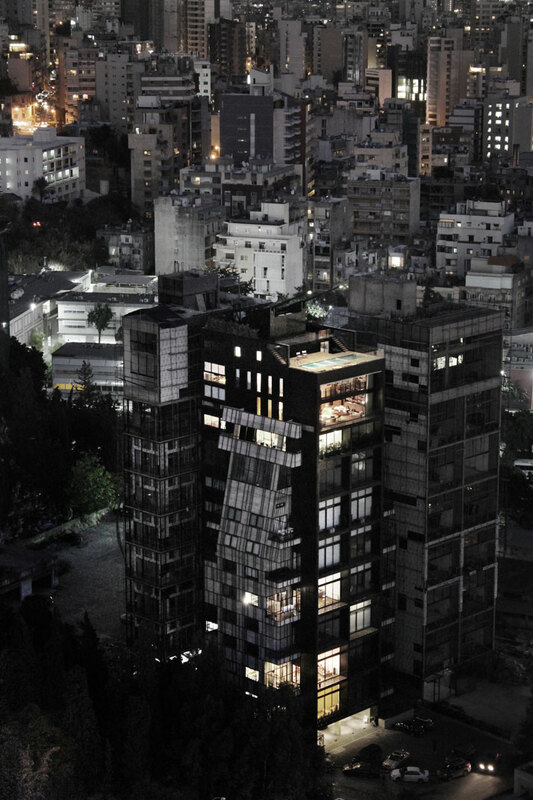 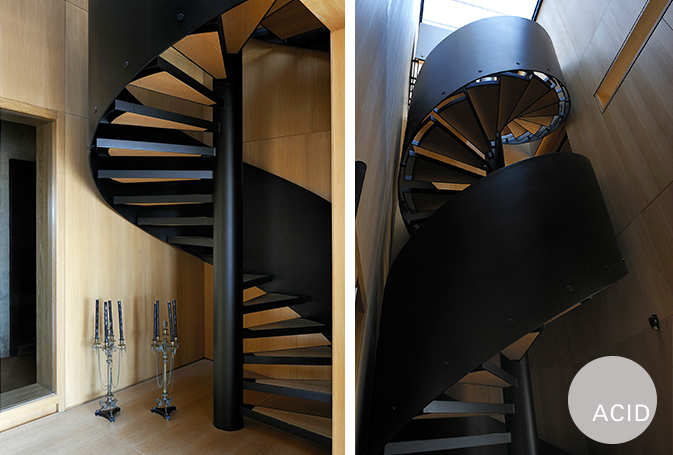 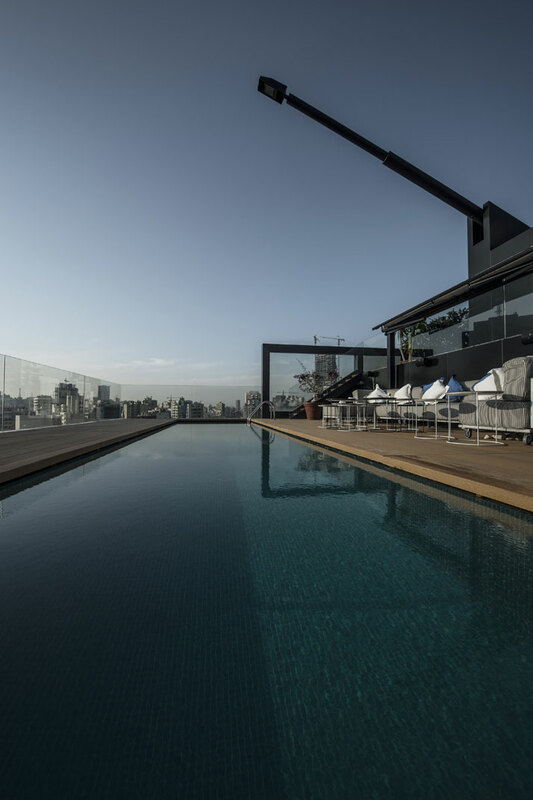 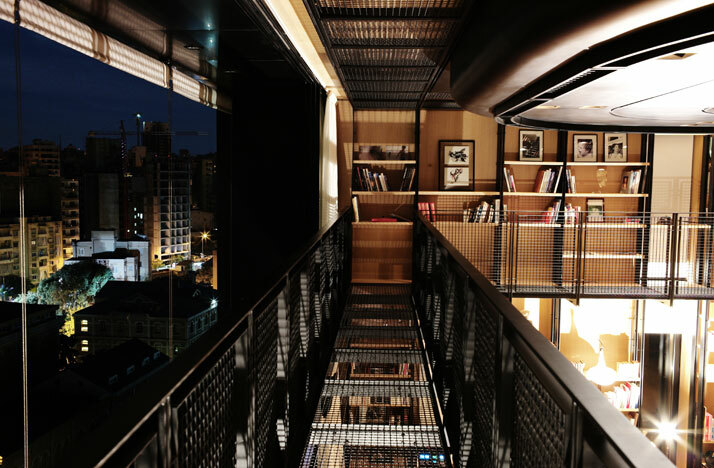 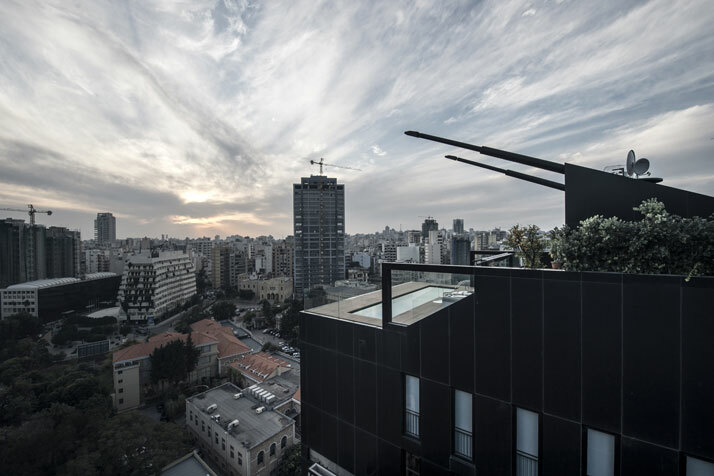 A pioneer in his field, one of Lebanon’s most aspiring architects well known for his avant-garde designs, Bernard Khoury, has done it again, this time with his own apartment in Beirut. 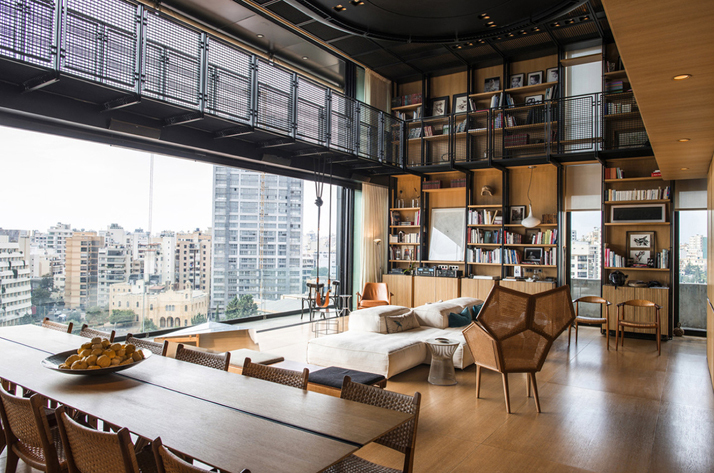 Using two main materials for the entire apartment : painted steel & wood, this combination created a modern yet industrial looking space. 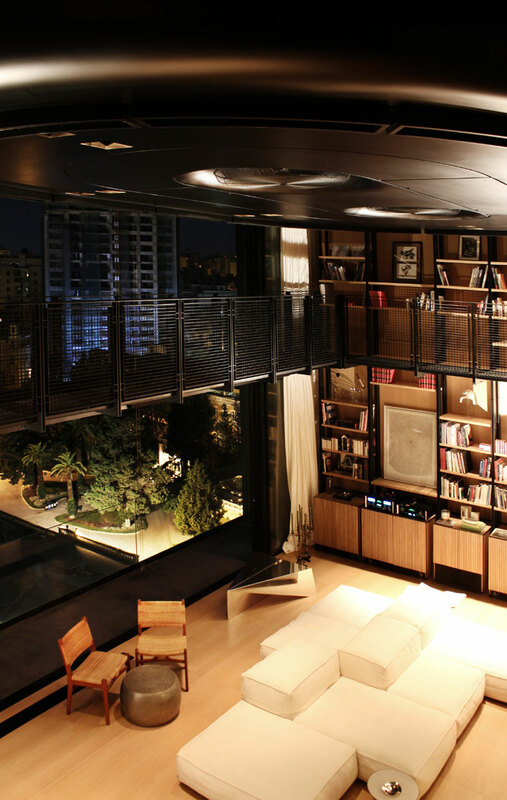 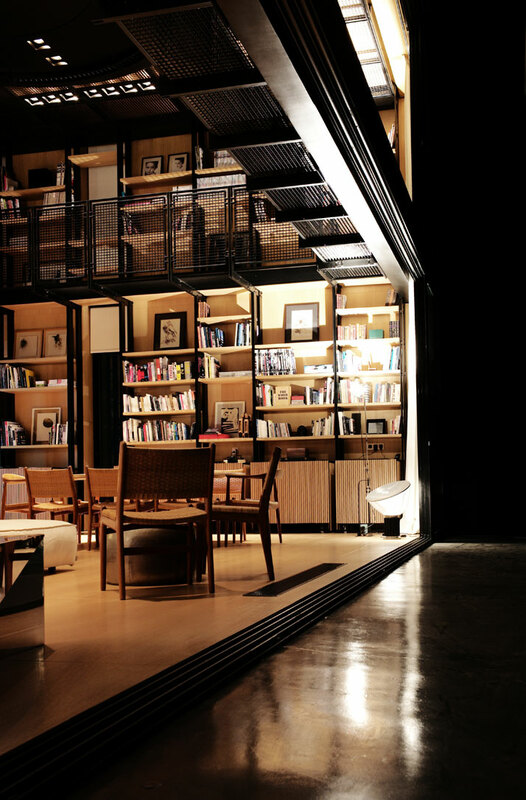 The double height in the main living area, the lovely bookcase contouring the space with a steel bridge going all around is just beautiful. 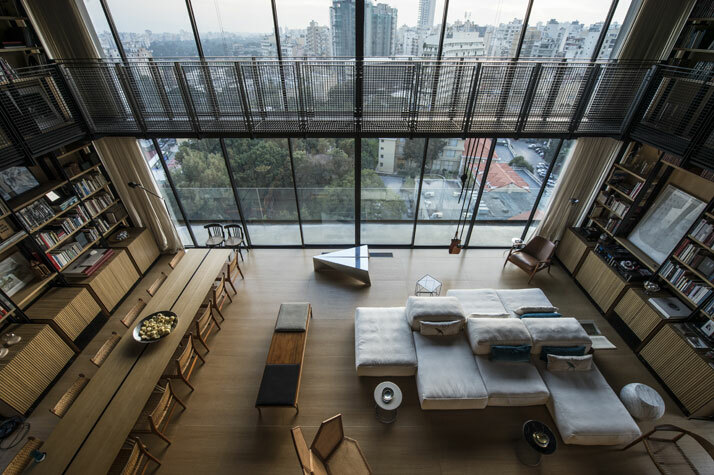 A unconventional sofa from Living Divani complements the space perfectly. 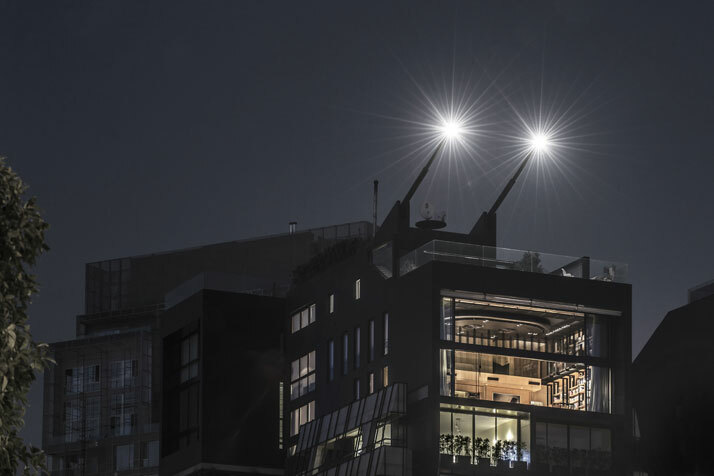 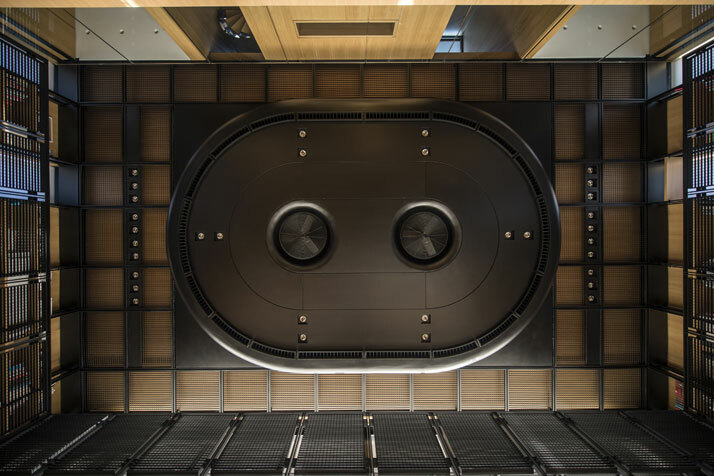 The steel work including the protruding projectors on the facade were done in collaboration with Acid. 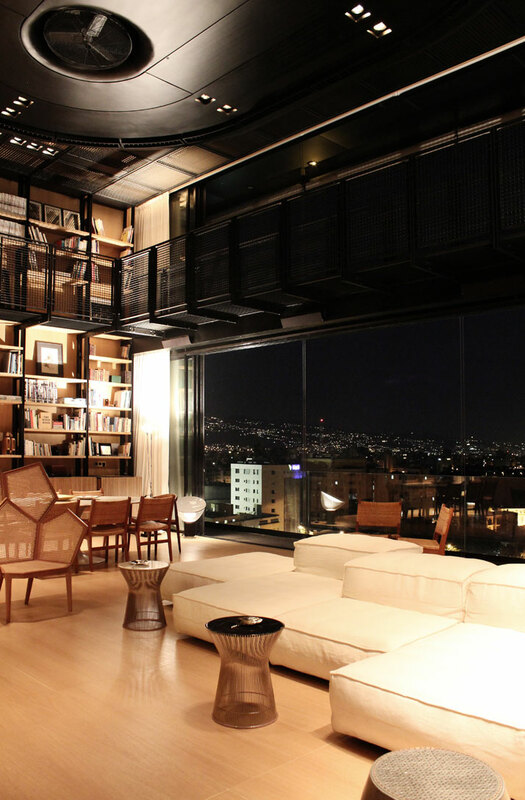 The terrace is breathtaking with a beautiful view of Beirut. 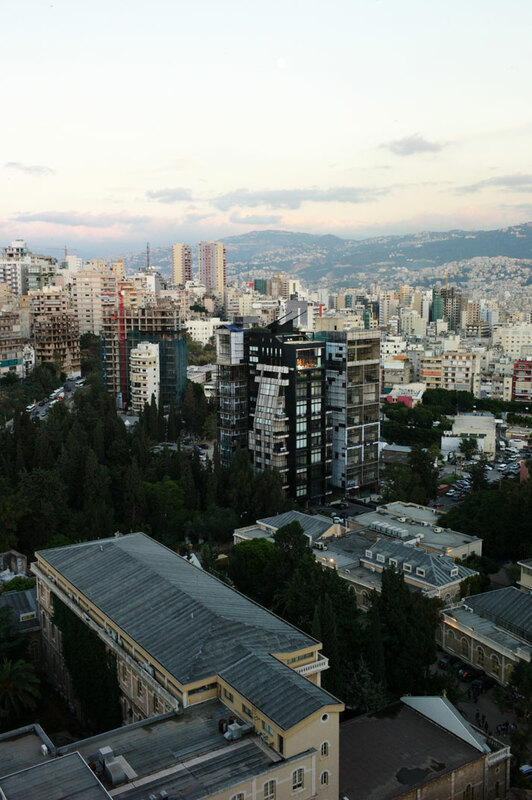 photo by Ieva Saudargaitė, © Bernard Khoury / DW5.